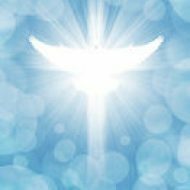 Posted byJudith	 January 17, 2019 January 17, 2019 Leave a comment on Did you recieve the Holy Spirit when you believed? Acts 19:2,6 : Did you recieve the Holy Spirit when you believed? he asked them. “No” they replied, we havent even heard that there is a Holy Spirit. 2. The Outpouring / Baptism of the Holy Spirit: After you receive the indwelling of the Holy Spirit at salvation, there is also an experience called the baptism of the Holy Spirit. This is an outpouring of the power of the Holy Spirit upon you that enables you to manifest supernational signs and wonders. In Acts 1:8 the disciples were instructed to wait for this outpouring of power. Our opening verse is another example. Those men could only believe in Jesus because of the conviction of the Holy Spirit (1 Corinth 12:3). He dwelth in them after they believed, though they did not know him. However when Paul laid hands on them in Acts 19: 6 they received the baptism of the Holy Spirit, resulting in speaking of tongues and prophesying. One evidence that you have received the baptism of the Holy spirit is speaking in tongues. How can I receive the indwelling and baptism of the Holy Spirit? 1. The first and most important step is that you repent of your sins and accept Jesus Christ as your Lord. Accept him into your heart and confess with your mouth that he is your Lord. To complete this step please take a moment to say the prayer below from your heart. HEAVENLY FATHER,I ACKNOWLEDGE, THAT I AM A SINNER. I BELIEVE IN MY HEART THAT JESUS CHRIST IS THE SON OF GOD AND THAT HE DIED FOR MY SINS. I BELIEVE THAT YOU RAISED HIM FROM THE DEAD, FOR MY JUSTIFICATION. LORD JESUS, COME INTO MY HEART NOW. I RECEIVE YOU TODAY AS MY PERSONAL LORD AND SAVIOUR .THANK YOU LORD ,I AM NOW BORN AGAIN. AMEN! Congratulations!! If you have just said that prayer sincerely, you are now born again and have received the indwelling of the Holy spirit. Please join a bible believing church and get a bible to study and grow your faith. If you would like me to pray for you, please drop a line in the comment section below. 2. Prayerfuly ask the Holy Spirit to baptize you. When you do, you may find that you have the urge to utter some words. Just let loose and speak out whatever comes to you at the time. It may sound like you’re babbling at first but never mind, you are now praying in the spirit. It may not sound perfect in the begining but as you continue, it will get better. 3. If you are unable to do step 2 above, have a mature believer lay hands on you and pray for the Holy Ghost baptism. Rev. Oyiks Alfred, a wonderful woman of God, whom I listen to often shared the following tips on having a rich fellowship with the Comforter. 1. You must be willing to obey his instructions. Some of them may not make sense to you but you must yield unconditionally. You will have no regrets in the end. 2. Learn to acknowledge his presence. Do not ignore him but regularly communicate with him throughout the day. 3. You must do things Gods way. Your life style, choices and actions must conform to the word of God. 4. Be a worshipper. Learn to worship and praise God in prayer,songs and dance. The atmosphere of praise and worship releases the power of the Holy Spirit. 5. Learn to ask for help. As powerful as the Holy spirit is, he never forces himself on you. If you need help in any area just prayerfully ask him to help you. You can listen to more of Rev Oyiks Alfreds messages in http://www.mspdevotion.org. I hope you found this helpful. I will also be sharing a very important topic in my next article. Stay connected, God bless you.